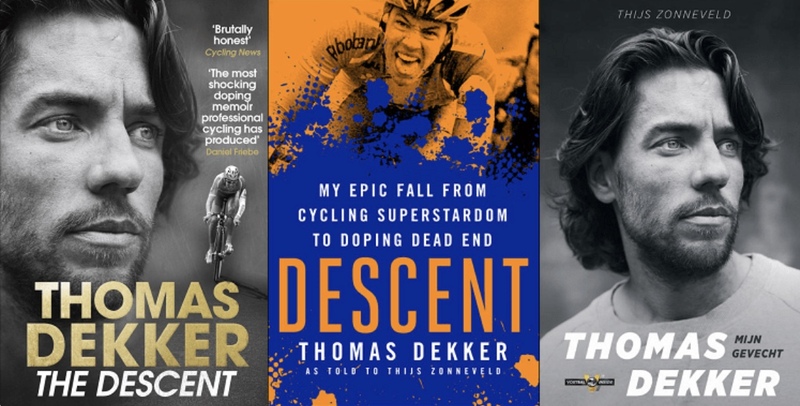 In his award-winning, international bestseller, DESCENT, ex- pro Thomas Dekker reveals the lifestyle of professional cyclists during the height of cycling’s EPO era. 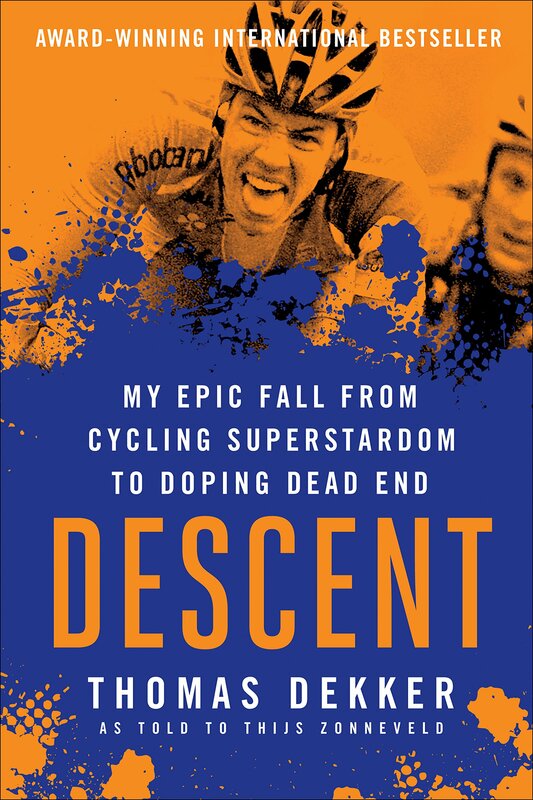 Available in English in the U.S. for the first time, DESCENT: My Epic Fall from Cycling Superstardom to Doping Dead End is now available in bookstores, bike shops, and online. Read the first chapter and learn more at velopress.com/descent. At age 20, Dutch bike racer Thomas Dekker was already earning €100,000 a year—as an amateur. When Dekker turned pro the next year, his salary quadrupled, then jumped to a staggering €900,000 as his astounding talent established him as a super-domestique among Europe’s wealthiest cycling teams. The sport marveled at Dekker’s rise as the young racer set his ambitions on capturing cycling’s biggest prizes for himself. Before long, though, Dekker found himself corrupted by money, dazzled by fame, and cracking under the relentless pressure to perform at a superhuman level. Dekker tells all in his shocking new memoir. In his eye-opening book, DESCENT, Dekker reveals a sordid way of life full of blood bags, drugs, prostitutes, and money. DESCENT tells the story of a years-long bender that exposes the destructive lifestyle of a professional cyclist as Dekker lived it. And Dekker is not alone; he names those who aided his downfall and who fell with him. In DESCENT, we take an unflinching look at the European peloton as it roars through its modern boom years—the height of the EPO era—and what we see is shocking. You won’t be able to turn away from this page-turning read about one man’s rise, fall, and redemption—and what his story uncovers about professional sports. Thomas Dekker is a Dutch former professional cyclist whose talent on the bike quickly took him to the top of the sport. He raced for The Netherlands in the 2004 Summer Olympic Games in Athens, won two Dutch National Time Trial Championships, and captured victories in the 2006 Tirreno-Adriatico and the 2007 Tour de Romandie. Dekker was ensnared during Operacion Puerto and suspended for two years. He joined Jonathan Vaughters’ American Garmin Development Team and rode for Garmin-Barracuda from 2012–2014. Dekker retired after an attempt on the World Hour Record in 2015. Thijs Zonneveld is an award-winning Dutch sports journalist and former bike racer. He writes for No.nl, Nusport.nl, and Wieler magazine. Read excerpts from DESCENT! Click here.